Many people have beautiful plants, but dont always have a unique way to showcase them. 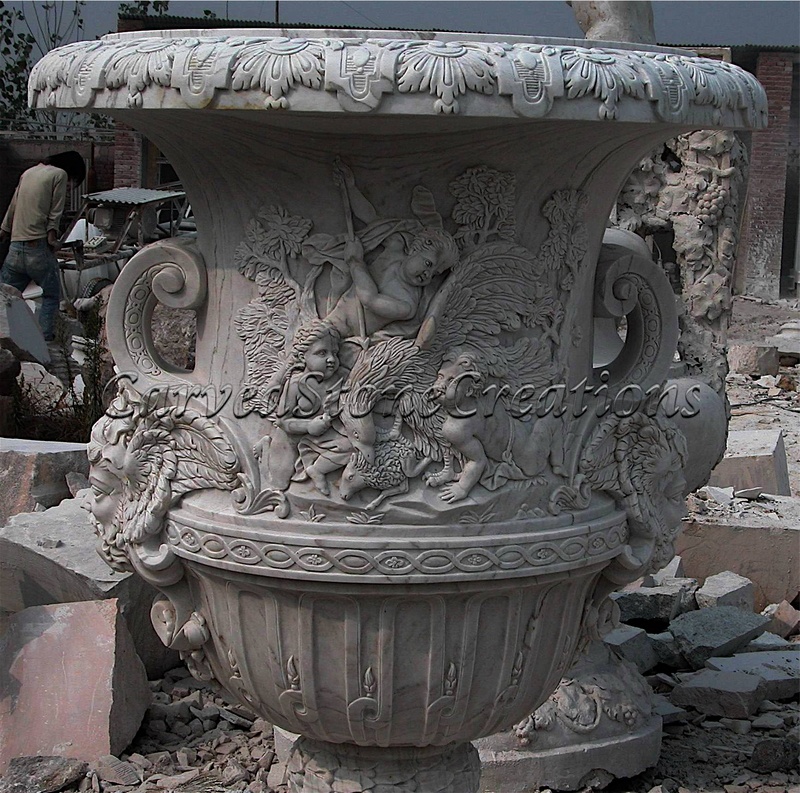 There are many stone planter design options to choose from. Your planter can be as intricate or as simple as your heart desires. Stone planters are just as beautiful as the flowers they hold. If you are looking for a way to make the simple more spectacular, a stone planter is an excellent option. Choose from the many different stone garden statues to match the theme and tone of your landscaping. If you want your garden to have a more exotic feel, consider a lion statue. 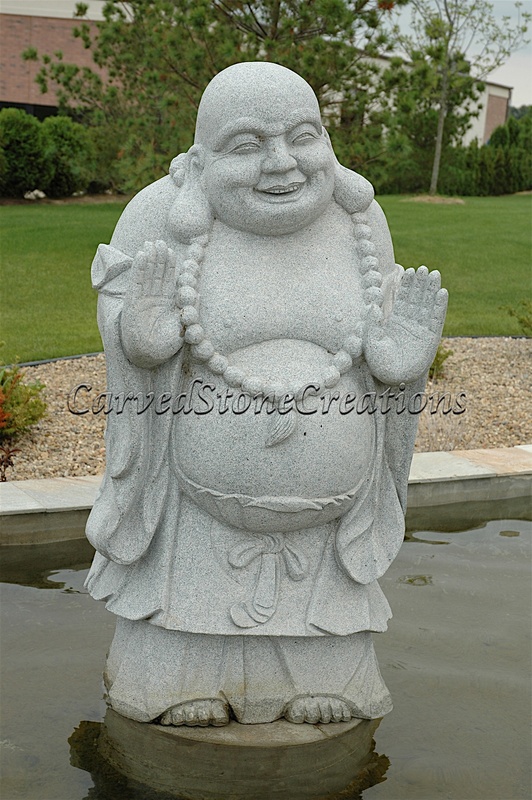 Or, you can have a smiling buddha statue that brings joy to all visitors! There are many statue sizes to choose from and the options are endless; let your imagination run wild! You dont need a big fountain to add a charming and majestic feel to your garden. Sometimes, smaller is better! For example, you can use a small fountain as the centerpiece of your colorful garden to highlight the beauty far and near. The sound of the trickling water and the simplistic beauty will serve as an escape from reality every time you walk through your garden. Dont you want to soak in the beauty of your garden? 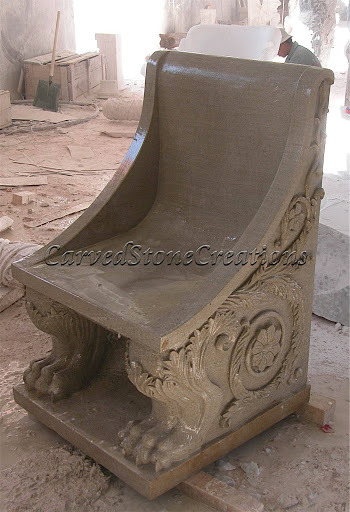 What better way to do that than on a handcarved stone bench! The right bench can serve as a perfect addition to your garden and tie your landscaping together. You will also be able to use it when you want to relax and take in your surroundings. There are a variety of different bench designs and sizes that can work with any garden. If you are inspired to incorporate landscape decor into your garden, contact us today! We can help make your garden dreams a reality. If you are considering adding a fountain, and have a certain design in mind, sign up for our photoshop presentation!